We love to give a little something back to our loyal customers, and so we have decided to say a ‘Thank You’ to our Facebook fans by giving away a mattress to one lucky winner. 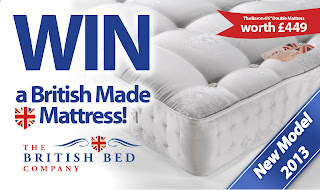 The competition can be entered on our Facebook page, and the prize is the fantastic Baron mattress from the British Bed Company (worth £449). Stuffed with luxury wool and cotton, the Baron is made in Britain, and contains 1200 pocket springs for excellent support and comfort. To enter, simply follow this link, make sure you ‘Like’ our page, and enter your name and email address. Once you have done this, we will sent you a confirmation email to let you know we have received your entry. It’s that easy! A few things you need to be aware of. To download a full copy of the rules, and Terms and Conditions, click here. The competition runs until the 1st of August, so get those entries in, and don’t forget to tell your family and friends! 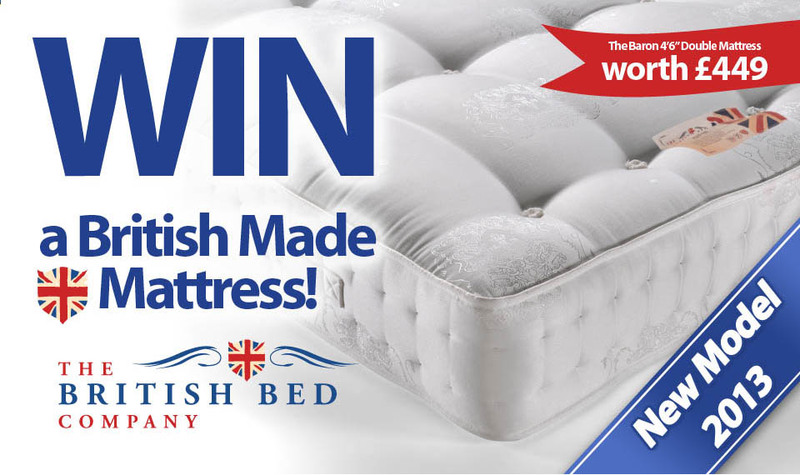 Win a Bed at Our Summer Shows! WIN a Pair of Hypnos Pillows! How Long Is a Piece of Spring?